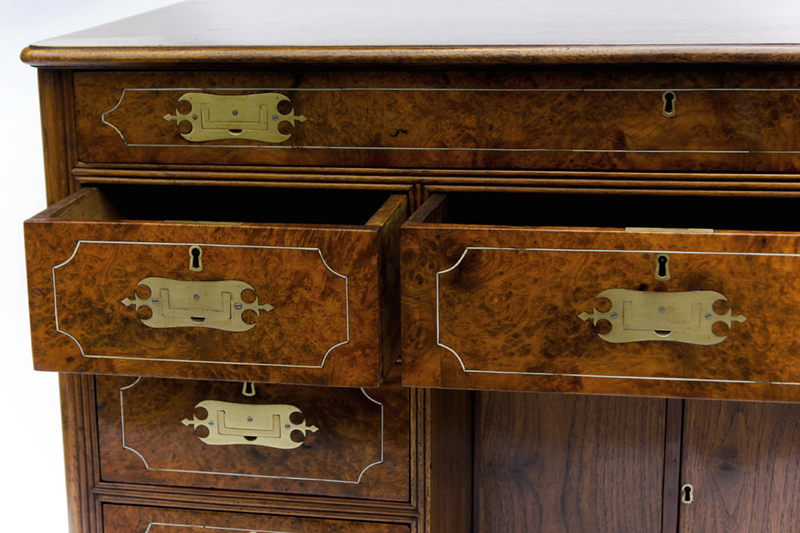 The desk is constructed as one piece and made from solid teak with beautifully figured amboyna burr veneers. 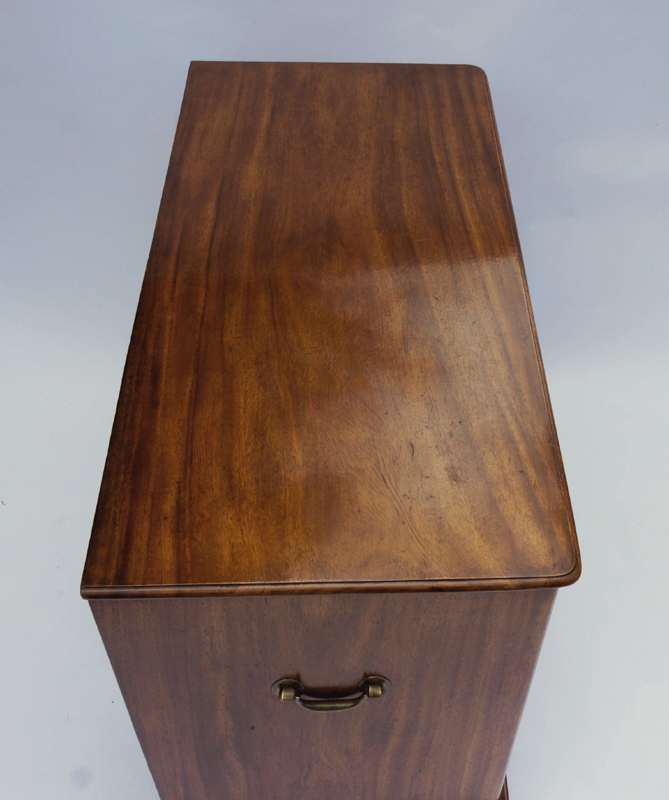 The top is constructed of well-figured timber with 'thumb moulded' edges and rounded corners. 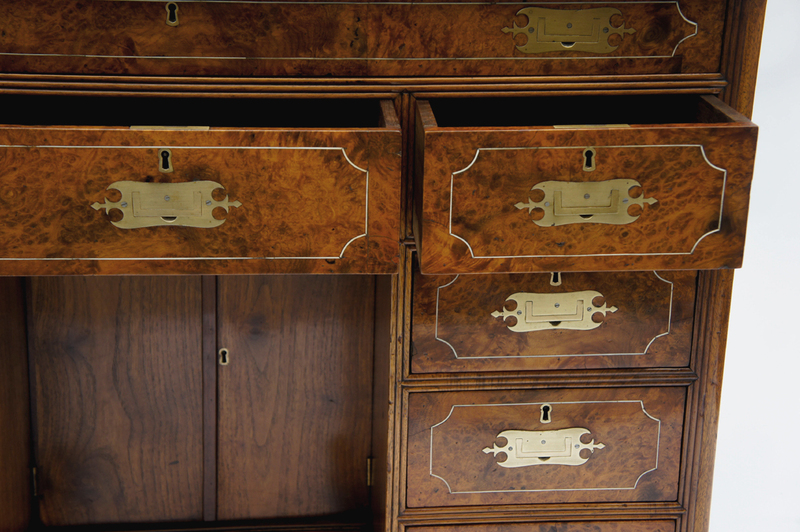 The drawer fronts have beautifully figured amboyna burr veneers with countersunk brass handles and ivory stringing. 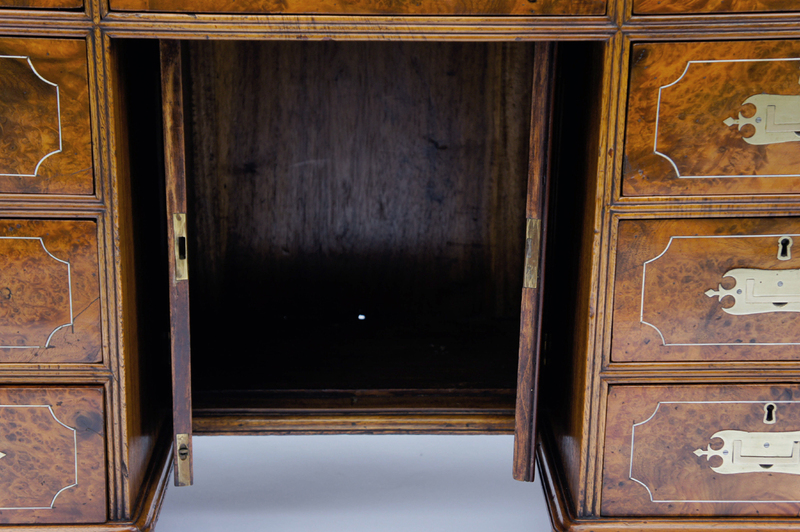 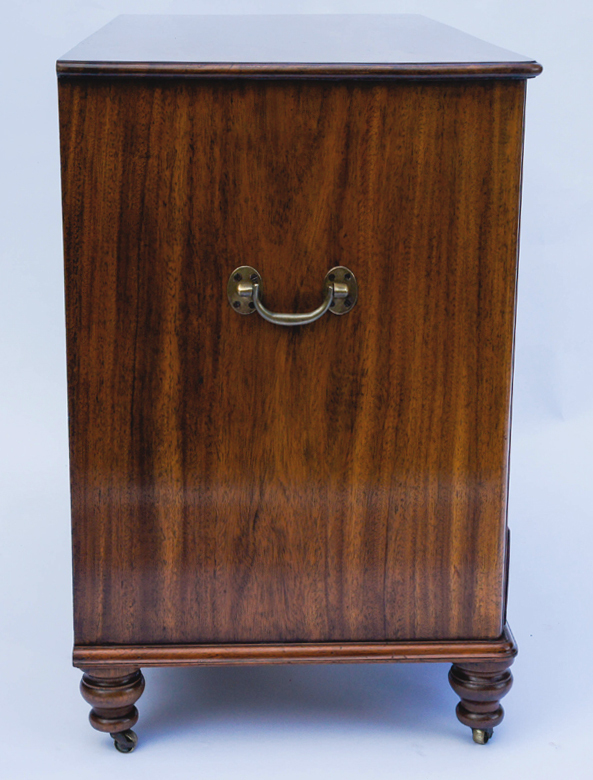 There is a small cupboard inside the kneehole and the desk stands on six small turned legs with the original castors. 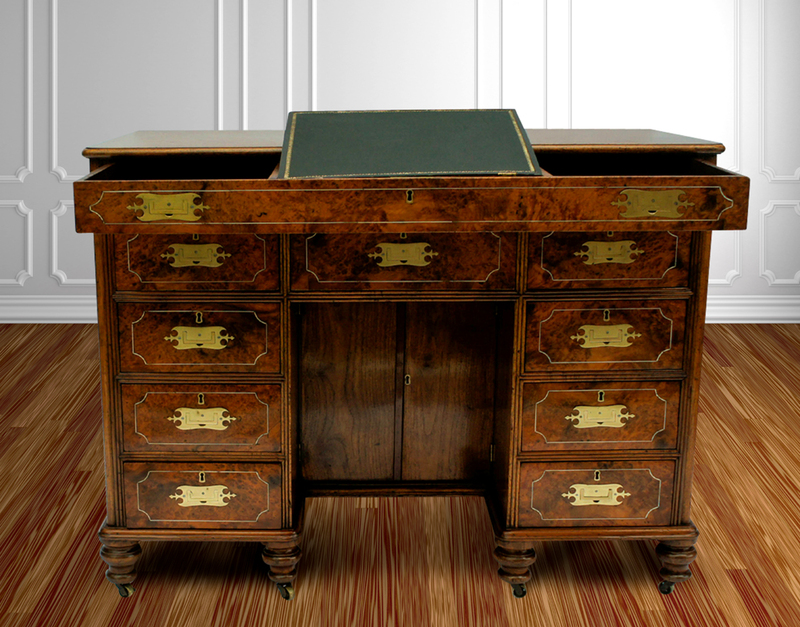 The either side of the desk are the original brass carrying handles. 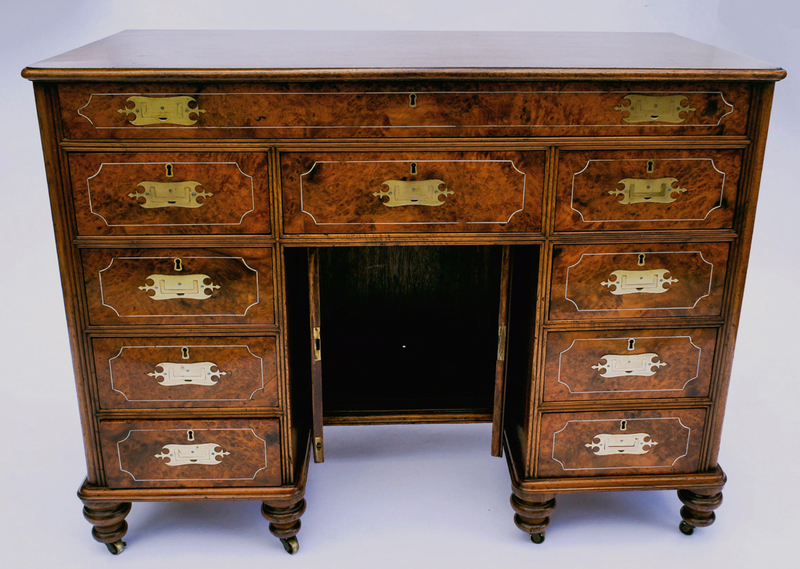 The desk has an adjustable writing slope fitted inside the middle drawer with a black hide writing surface. 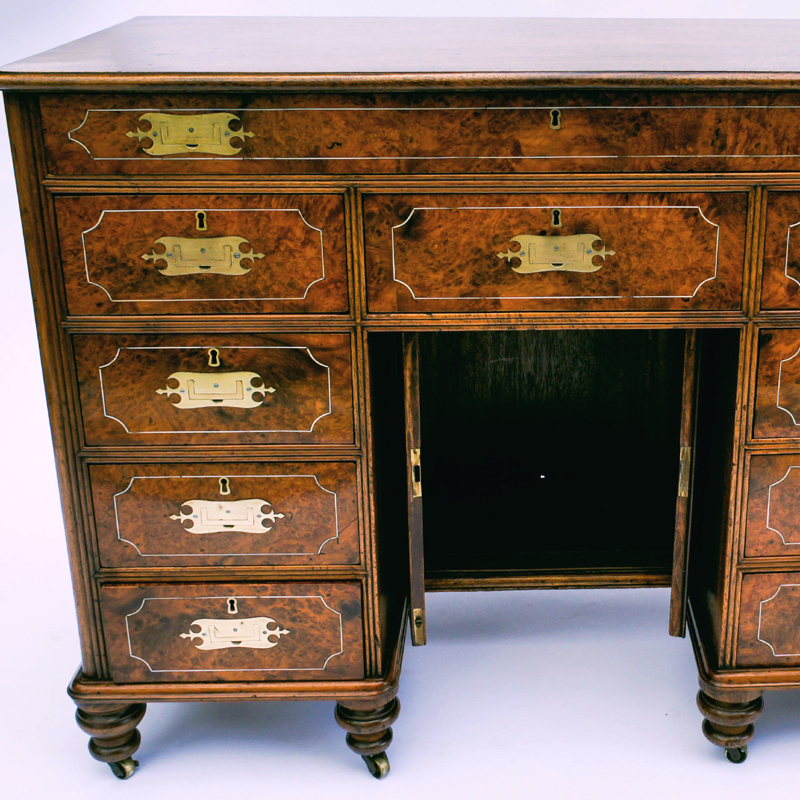 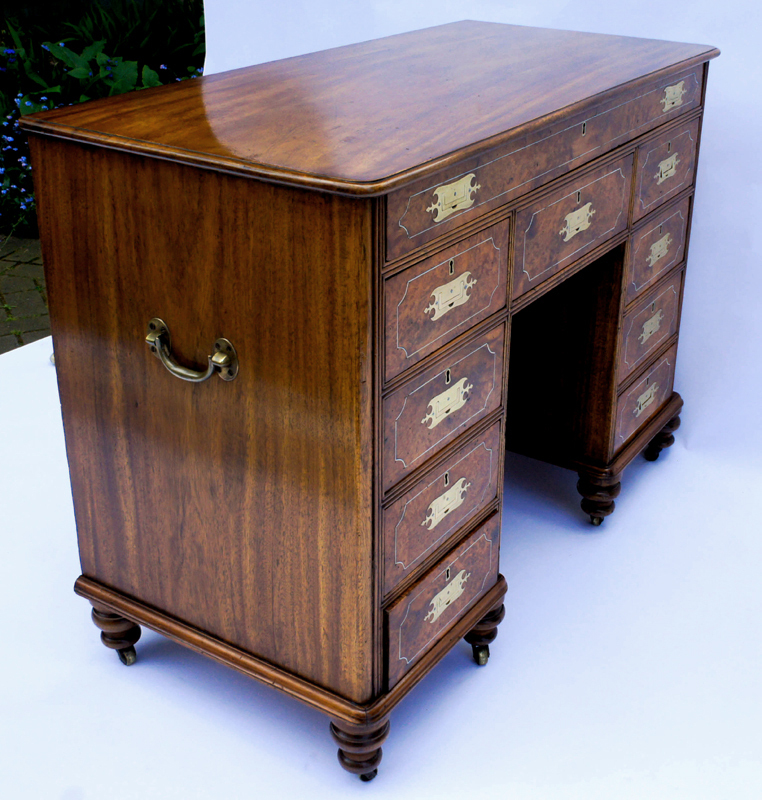 a stunning small desk for a sitting room or small study or office.